Today I'm listening to this and other music by Bach as I prepare for very serious surgery on Tuesday. I'm giving thanks: the miraculous triumvirate of Bach, Beethoven and Brahms!! I hope that all goes well and that you have a smooth recovery. I think that is a highly intelligent way to prepare: spiritual, calming, beautiful. I too send best wishes. Thanks for the good wishes. Bach is the go-to, along with late Beethoven, in times of existential crisis. I'll have the earphones on tomorrow while I'm waiting for my turn in surgery. And it's wonderful when friends rally and provide comfort and support. All the best to you. Before you joined, I also had very serious hospitalizations, including more than one operation, where I was virtually saved by the masters. A few here may remember. Sue, VERY SORRY to hear about a "very serious surgery." Keep your delightful spirits up. I cannot think of a better way to get prepared than by listening to, especially, Johann Sebastian Bach. For me, Mozart does some wonders, and Schubert, both especially in their choral works. Our thoughts and prayers go with you to be back among us ASAP! Please do keep us informed. Back home from hospital and receiving visitors and flowers. Thanks for the support here on CMG. I won't know much until pathology results on 12th as to what comes next, but I've been warned there will be 'next'!! Glad to know you are back home now Sue. So sorry there may be a "next," however, there may also NOT be a next! We keep rooting for you! Thanks. I was told before the surgery that at least radiotherapy is coming my way. I couldn't handle chemotherapy!! Dear me; just when life is going along so well along comes a massive curve ball and drama. Take nothing for granted. Ever!! Sue, you have a wonderful attitude about all this and that can only be helpful in a total recovery. Keep up the spirit! Concerned about you and this "drama." And you are right ... we can take nothing for granted ... ever! So glad that you're home, Belle! As for what's next, with modern treatments, they may skip chemotherapy altogether and go directly to immunotherapy. Be guided by your doctors, but don't let them railroad you into something that doesn't feel right. Remember, YOU have the last word about your choices here. Please do keep us posted, and keep posting! Remember, that trip to NY MUST HAPPEN! As for taking things for granted, well, none of us here take you for granted, and I believe we each value the company and companionship we have found here, thanks to Lance's generosity and expertise at running CMG. Thank you so much for your thoughts and kindness!! Music means the world to me; more and more as the years pass. Right now I cannot do any demanding reading so I must rely upon my ears. We now have a significant family history of cancer, especially breast cancer. The first thing I thought about - the very first - was my beautiful 35y/o (childless) daughter. She now lives under the sword of Damocles. In my own case, I believe it's quality not quantity and my husband is a beacon of love, support and comfort. He always sees the glass half full, bless him. Some friends have been dropping around and I'm buying them gifts to let them know how much they're loved and appreciated. Glad it went well, Sue, and fingers crossed for "what's next". Don't forget the Schubert quintet for two cellos in your spiritual and physical recuperation. Thanks, Barney. 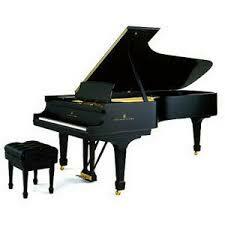 Ah yes, the Schubert!! I have a beautiful recording of it too. That will be on the agenda this morning. There's a pathway, isn't there, from composer to music-lover - much like brain pathways. It's not lachrymose in any sense. My late father used to say to me 'your music is for the crematorium'; though this always raised a laugh, I think it invoked too many memories about loss. My thoughts with the Schubert are of that brave, young composer fighting to the very end an incredibly unjust battle. Today, part of the "All of Bach" project from the Netherlands... St. John Passion. From those astringent opening chords, through to the use of counter-tenor as alto and wonderful period instruments, I just adore this work!! Yesterday I made a fairly decent donation to the "All of Bach" project. They need our support. This performance has a rich continuo section which sounds translucent with the addition of a theorbo. And you don't get those kinds of 'soft edges' at the end of phrases that you often hear with modern ensembles. I note Bach recycled the opening chorus from this work for the Dona Nobis Pacem of the "B Minor Mass". Yesterday this nearly raised the roof of the Cathedral!! It was accompanied by the large organ, which I felt was a bit overwhelming for the basso continuo. Also on the program was a cantata written by a well-known Australian baritone to commemorate the 100 year end to WW1. This afternoon I've listened to this particular recording of the Bach B Minor Mass with Akademie fur Alte Musik Berlin/René Jacobs (which I've seen a couple of times in Vienna, but with a different Dirigent). God, I absolutely love this work!! What a great day in your life, Belle! I, too, love the B minor Mass. I first learned it from Karl Richter's 1960's records (now available on CD), and actually had the opportunity to sing it in Carnegie Hall in 1979 with David Randolph's St. Cecelia Choir. It's truly a masterpiece, and we sang to a packed house. 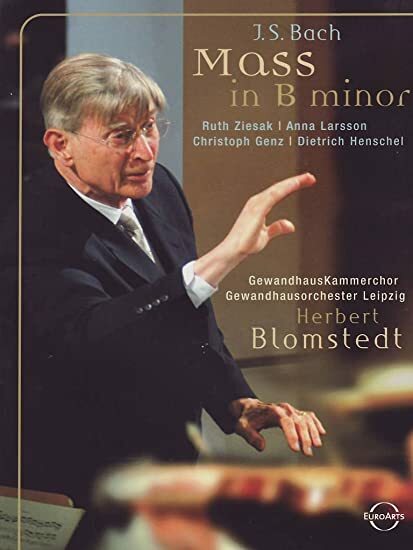 Herbert Blomstedt; what a distinguished career from this extraordinary 91 year old!! The B Minor Mass is a work I return to, regularly. I wonder what Bach would have thought of the idea of us having access to his masterworks, which we could hear over and over whenever we chose it and not in a church setting? Unlike some films, which we might hold in our libraries and which throw up faults from repeated viewing, no such thing happens with great music. They got it right the first time when putting nib to paper! !